Listening to Krisiun is akin to falling off a cliff with a piano coming down with you. 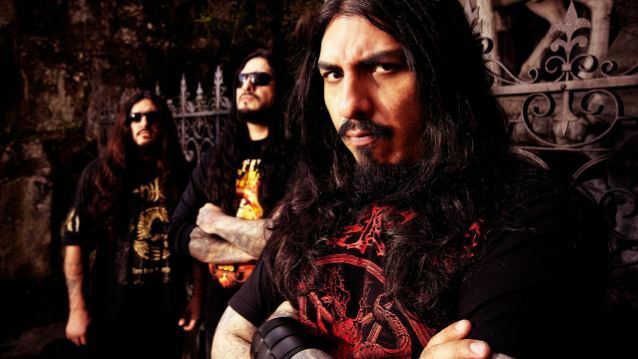 Somehow, the same fate will be met (not a good one, obviously), so it’s a race to the death with these Brazilian death metallers, like it always is. The Great Execution is the band’s 10th album, staying right in line with their patented brutal death metal style that even after all of these albums, is as identifiable as ever. 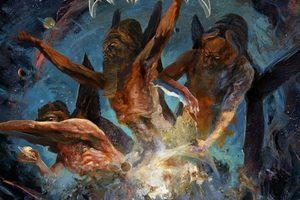 A bit of a bloated album (60 minutes is a little too long for any death metal release), The Great Execution hits its stride at the halfway mark on the title track, where Moises Camargo lets his fingers do some serious flying. 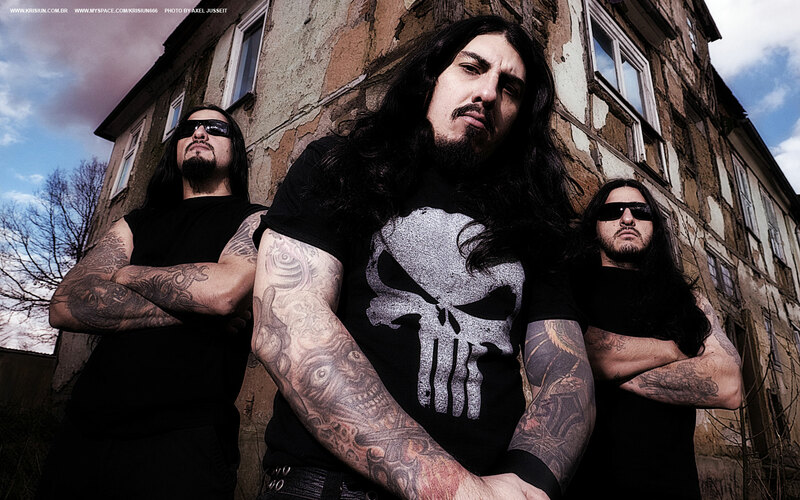 “The Extremist” emerges as the album’s most extreme cut (check out Moises’s nifty fretboard action here, too), and the nearly-eight minute (!) “Sword of Orion” provides an ample amount of punch and groove to complement the rampant blasting and guitar gunfire, with some exotic Spanish guitar playing from Marcello Caminha thrown in to spice things up. The bio for The Great Execution speaks as to how “mature” Krisiun has become and such a sentiment couldn’t be more true. At one point in time, the only thing the Brazilians could do was blast away with reckless abandon, and that can only take a band so far. 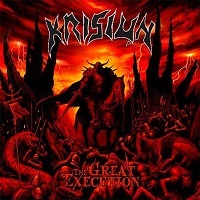 So yeah, chalk The Great Execution up to maturity…and the fact Krisiun is still pretty darn good.